U.S. 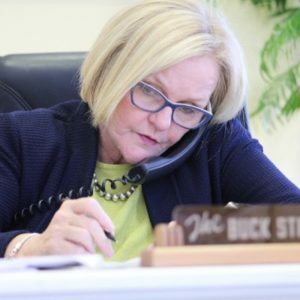 Senator Claire McCaskill, D-Missouri, says a farm bill vote could come as early as today in spite of Florida Republican U.S. Senator Marco Rubio’s threats to block further amendments. McCaskill says Missouri and U.S. farmers are looking for some kind of stability as quickly as possible and NEED a farm bill to pass, now. “He (Rubio) HAS gummed up the works and we’re going to try to vote on a number of amendments. If I had to guess or die right now, I would assume that we would move to a vote on the farm bill WITHOUT doing all the amendments,” she says. Rubio’s threats are an attempt to get Congress to pass a ban of taxpayer dollars from being spent on businesses owned by the Cuban military. He also wants the Senate to vote down a provision that would allow USDA funding for foreign market development programs to be spent in Cuba. McCaskill says she supports increased trade with Cuba that has been hindered by the Trump administration. The five-year bill includes maintaining a reliable crop insurance program and provides funding for a Foot and Mouth Disease vaccine bank. It would also allow funding to expand broadband internet access in rural areas. The Senate has tabled an amendment that would include additional work requirements for certain SNAP food stamp recipients.